With our experience and local knowledge, we offer an unparalleled experience to both new and returning customers. We offer customised tours, showcasing the best that the Western Cape has to offer. To and from Private Homes, Hotels, and Guest Houses throughout the Cape Peninsula. We also offer a Meet and Greet service on arrival with a Welcome Board, with your Name, at no additional charge. To and from all Adventure Tourist Venues, and all other Tourist Venues and places of interest throughout the Western Cape. To and from Restaurants, Weddings, Shopping Malls, Doctors Rooms, and Hospitals. Throughout the Cape Peninsula and the Western Cape, including the Magnificent Garden Route Tour, between Port Elizabeth, and Cape Town. 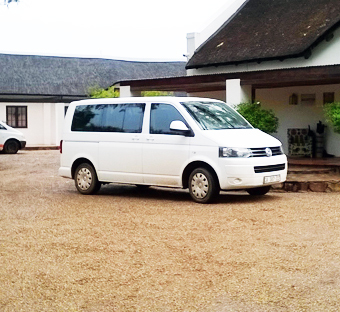 We are licensed to tour throughout South Africa with 1 to 7 persons, while our tour guide licence is restricted to the areas in and around the Western Cape. Cash or Bank Transfer by arrangement with proof of payment prior to departure. Tours & Transfers can also be added to your hotel account by arrangement. All year round you can experience the world's scariest sharks, right up close, from the safety of a shark cage. The Cape coast is a world renown shark breeding area, and is well worth exploring. Observing the majestic spleandour of these huge marine mammals from a few meters away is a truly moving experience that will be forever etched in your mind. Come and experience this 1,4km of pure adrenalin Eco Adventure, consisting of 8 slides varying from 100-290m in length. This Eco-Adventure is safe, fast and long. Experience the cableway during the day or at sun set & view the city lights from the top of Table Mountain. The Cableway offer two daily walks on the mountain, at 10:00 and 14:00, free of charge. Notorious as a place in our history to which so-called colonial and political undesirables were banished. The island was proclaimed a World Heritage Site in 1999. Visit the maximum security prison , including the cell that housed Nelson Mandela. The three and a half hour tour, departs from the Nelson Mandela Gateway at the V & A Clock Tower Precinct at 9.00am., 11.00am. and 1.00pm daily, weather permitting. On 17 September, 1860, Prince Alfred - second son of Queen Victoria - tipped the first load of stone for the harbour breakwater. Spend a complete day exploring this historic precinct, and the many world-class retail stores and fine restaurants. Premium Shops: Over 450 outlets. The Shimanskys Cape Town Diamond Museum. Chavonnes Battery Museum: The harbours oldest heritage site. The Two Oceans Aquarium: An awe-inspiring experience for both adults and children alike. Established in 1913. Declared a UNESCO World heritage Site in 2004. It is the first botanical garden to be included within a natural World Heritage Site. A must for all nature lovers, and those who want to experience the beauty of the Cape Floral Kingdom. Visit Groot Constantia Estate. Est. in 1685 by Simon van der Stel. Known as the home of the wine industry of the Western Cape. Taste award winning wines & visit the Manor House and Iziko Museum. There are eight other vineyards in the Constantia Valley, leaving you spoilt for choice. They are Buitenverwachting, Constantia Glen, Constantia Uitsig, Eagles Nest, Klein Constantia, Steenberg Vineyards, Silvermist and Beau Constantia. All produce world class wines with fine restaurants and wine tasting facilities on offer. It is the south western tip of Africa & forms part of the Cape Floral Region World Heritage Site. View its vast fynbos covered plains, rugged coastline, sandy beaches, valleys & mountains. Hike up a steep slope to the top lighthouse or take the Flying Dutchman Funicular Car. Experience the dramatic scenery from the top, you won`t be disappointed. Dine at the Two Oceans Restaurant known for its signature seafood platters and magnificent views overlooking False Bay. Visit Cape Point Ostrich Farm, a short distance from the entrance to the Cape Point Reserve. People who love quality leather, will appreciate their wide selection of exquisite ostrich leather products, available from their shop.